Thiolated chitosan appears to possess enhanced mucoadhesiveness and cell penetration properties, however, its potential in gene-drug delivery remains unknown. Herein, we report on a highly effective gene delivery system utilizing a 33-kDa thiol-modified chitosan derivative. Thiolated chitosan was prepared by the reaction with thioglycolic acid. Nanocomplexes of unmodified chitosan or thiolated chitosan with plasmid DNA encoding green fluorescenct protein (GFP) were characterized for their size, zeta potential, their ability to bind and protect plasmid DNA from degradation. The transfection efficiency of thiolated chitosan and sustained gene expression were evaluated in various cell lines in vitro and in Balb/c mice in vivo. Thiolated chitosan–DNA nanocomplexes ranged in size from 75 to 120 nm in diameter and from +2.3 to 19.7 mV in zeta potential, depending on the weight ratio of chitosan to DNA. Thiolated chitosan, CSH360, exhibited effective physical stability and protection against DNase I digestion at a weight ratio ≥ 2.5:1. CSH360/DNA nanocomplexes induced significantly (P < 0.01) higher GFP expression in HEK293, MDCK and Hep-2 cell lines than unmodified chitosan. Nanocomplexes of disulphide-crosslinked CSH360/DNA showed a sustained DNA release and continuous expression in cultured cells lasting up to 60 h post transfection. Also, intranasal administration of crosslinked CSH360/DNA nanocomplexes to mice yielded gene expression that lasted for at least 14 days. 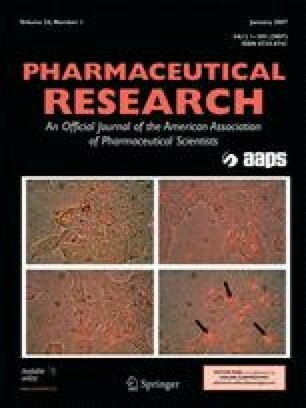 Thiolated chitosans condense pDNA to form nanocomplexes, which exhibit a significantly higher gene transfer potential and sustained gene expression upon crosslinking, indicating their great potential for gene therapy and tissue engineering. This work was supported by NIH (5RO1HL71101-01A2) awarded to SSM and Culverhouse Endowment to the Division of Allergy and Immunology.